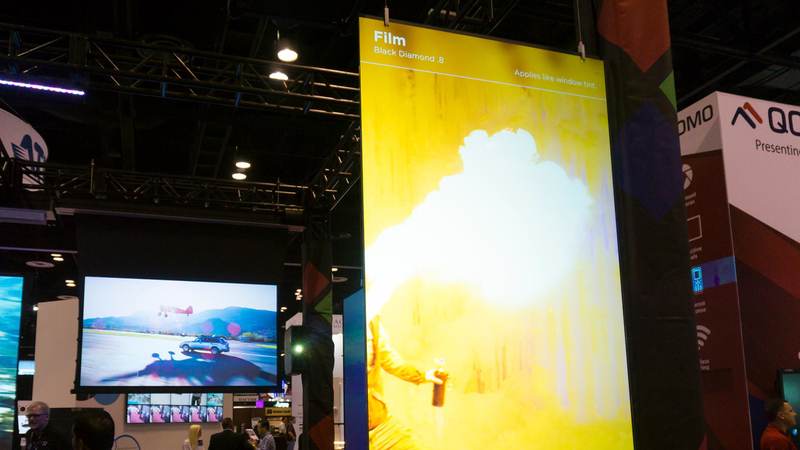 Particularly well suited for retail store front, or even dedicated theater applications, Black Diamond® Film is a rear projection material that can be applied to any rigid transparent surface to create an incredible experience that’s versatile enough to be placed in many different existing locations. Black Diamond Film encompasses a permanent pressure sensitive adhesive and release liner for easy application. Simply put, Black Diamond Film is applied like window tint, making installation very easy and pain free. Glass is one of the most readily available materials on the planet and just about everyone already has it, or acrylic, in their space. That means that with Black Diamond Film you have the versatility to put a rear projection screen in nearly any environment.